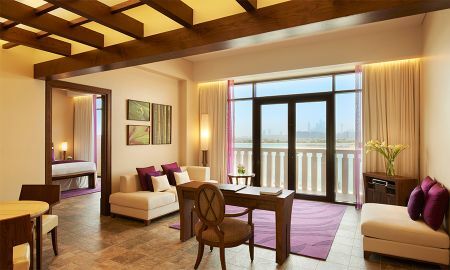 Sofitel Dubai The Palm Resort & Spa opens its doors to adventurous guests seeking a premiere experience steeped in discovery, relaxation, and luxury. 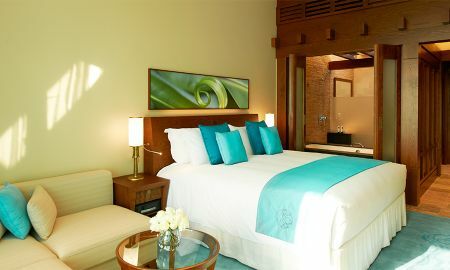 This 5 star offering sits perched on Dubai’s Palm Jumeirah Island, a one-of-a-kind location which seamlessly blends Polynesian elegance with Sofitel’s signature art de recevoir decor. Lush vertical gardens, a stirring array of fresh flowers, and walls decorated with stunning artwork are all reasons to step through the doors, and once there, feel the calm, welcoming smiles of the hotel’s top flight, personalized service, treating each and every guest in a truly unique fashion. The 361 spacious rooms and suites boast breezy balconies from which to gaze out into one of the world’s most sparkling and fast-rising cities. Discover crackling international flavors at the hotel’s 8 restaurants and 7 bars and lounges. Lights whirl over the hotel’s lovely ballroom, the perfect spot to host events and celebrations. Inspired Meetings concierges incentivize your stays with inventive offers you won’t want to miss. This home away from home is spread over the glittering sands of a long, private beach on Palm Jumeirah's Eastern Crescent. A wide variety of exciting activities await, including water-skiing, sunbathing, golf, and just plain cruising. Reinvigorate your pores at the So SPA and remember why your vacation was so necessary. Families find nothing but laughter and convenience at the Kids Club, perfect for couples seeking respite and kids looking to meeting friends on their once-in-a-lifetime holiday. 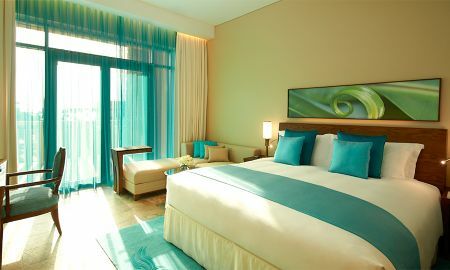 Sofitel Dubai The Palm Resort & Spa is anchored Dubai’s Palm Jumeirah Island. The Tourism Dirham Tax is per night per room type.